Lemmings marched, Marty McFly rode his hoverboard, and Sephiroth wielded his stupidly oversized sword at PAX Aus 2014 day 3. PAX Australia 2014 has now officially closed its doors, and I am officially ready to sleep until they open them again next year. But before I do, be sure to check out the last batch of cosplay photos from the show. If you haven't already seen them, here are my photos from the first day, and the Day 2 gallery Ross put together from my photos when I was too exhausted to type yesterday. 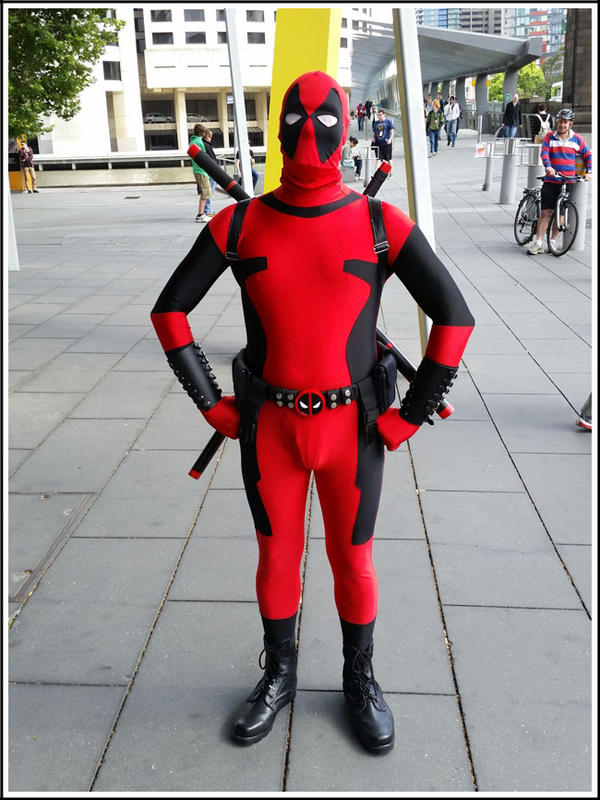 Greeting us at the entrance to the show as Deadpool, who cracked a joke about the loser who was dressing up as him.